The Snapchat rose emoji has been given to the Chainsmokers. If you love that “back seat of your Rover” song you will want to follow the Chainsmokers. Like most very popular Snapchat accounts, you can expect everything from funny face filters to backstage access before they go on stage. 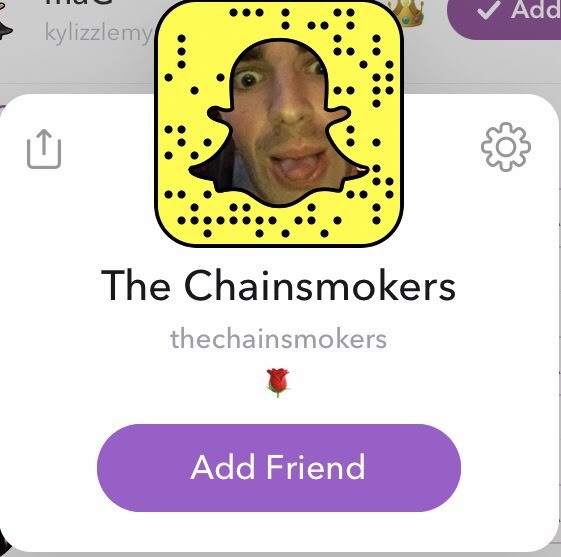 Their Official Snapchat account is thechainsmokers. You can screenshot the QR code above and add them by QR code as well. Top 10 Snapchat Face Filters in 2016 | How Do I Get the Top Box in Google Search Results in 2017?